Brian, with his experience in the telecommunications, cable and utilities industries, is a valuable and important addition to RAS & Associates. RAS & Associates, a leading operations, technology and management consulting firm located in Denver, is pleased to announce the addition of its newest Partner, Brian Smith. Smith has more than seventeen years of experience in the telecommunications, cable and utility industries focusing on distribution and logistics strategy, sales and operations planning, capital asset management and spare parts management. “I am very excited to be joining a team of transformational leaders who are focused on driving innovative and value-focused solutions for each of their clients,” said Smith. Smith recently held a senior position at Accenture, where he led notable initiatives including a network sparing optimization for a leading telecommunications company and a network supply chain strategy for a leading wireline/wireless company, among many others. Smith holds a Bachelor of Science in Business Administration Accounting and Finance, from Colorado State University. 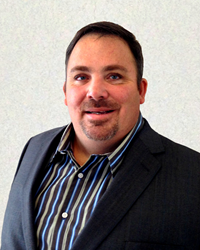 Smith brings his big-firm experience to RAS & Associates’ flexible and agile approach. His deep knowledge of operations ensures that RAS & Associates’ clients receive solutions that are both effective and sustainable. His management style, which is both inclusive and relentlessly focused on value, brings out the best in his teams while enabling innovative solutions that work within the client’s unique culture. Brian has an extensive history of driving value-focused initiatives across large, complex organizations. RAS & Associates is an operations and management consulting firm headquartered in Denver. Its talented team comprises seasoned professionals with diverse industry experience, yet all share the same commitment: a deep investment and creative engagement in their client's long-term success. This fundamental value enables the firm to deliver "Consulting Reimagined." Named one of seven small jewels by Consulting Magazine, RAS & Associates brings an entirely fresh approach to consulting, delivering unmatched results to Fortune 500 companies that expect originality and innovation.